China’s reforms since 1978 resulted in considerable success in terms of economic growth and development. However, moving to the next stage in the process towards achieving sustainable progress demands a firm commitment to the implementation of pending reforms. The task confronting China’s authorities is substantial and should not be underestimated. Dwight Perkins, professor emeritus at Harvard University, is to a certain extent sceptical about future reforms. In his keynote address delivered at the 2018 China Meeting of the Econometric Society, held at Fudan University in Shanghai, Perkins recounted the reforms process. Unquestionably, much was achieved from 1978 until 1992, but according to Perkins the period produced a series of ad hoc reforms that did not move China to a full market system. Still, critical steps during the 1980s included fostering the financial system and creating the central bank. The reforms were central in channelling resources towards state-owned enterprises, an engine in China’s economic growth model, and in delivering predictable macroeconomic outcomes. Perkins notes that the 1990s brought wider reforms moving China to a socialist market economy. The reforms included a change in stance towards SOEs, which were encouraged to generate better outcomes. Another major achievement during this period was the end of recurring spikes in inflation. The graph below shows inflation in China hovering in double-digit territory during the late 1980s and up to the mid-1990s, and subsequently stabilising below 5% per annum. The process to gain admission in the World Trade Organization starting in 1985 and culminating in 2001 involved a commitment to further reforms. Figure source: produced by the author using the Federal Reserve Bank of St Louis’s FRED graphing tool. Notwithstanding the pace and scope of China’s reforms since 1978, the financial system is an important area of the economy in which there has been a substantial effort to liberalise. Table 1 from a work in progress by Sánchez-Fung displays a chronology of important developments in the path towards liberalising interest rates in China. 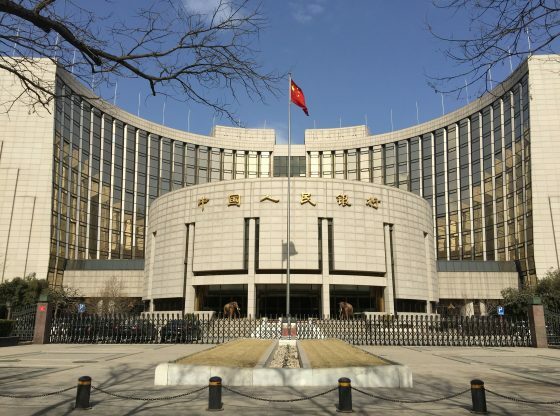 Beginning with the introduction of interbank lending in the 1980s and continuing to the removal of floors for lending rates in 2013 there is an unrelenting effort to reform the context in which interest rate determination takes place in China. In addition to the narrative provided by Table 1, how can we further gauge progress in reforming interest rates in China? Arguably, a potentially fruitful exercise is measuring the extent to which nominal interest rates reflect movements in the inflation rate – known in macroeconomics as the Fisher effect. Sánchez-Fung attempts to throw light on the matter in his study, currently under review. Using an econometric model and time series data on inflation and a representative interest rate for China during the period 1999-2015, the study does not find evidence of a Fisher effect, i.e. a one-to-one relationship between inflation and a representative nominal interest rate. Further progress in liberalising financial and related markets in China, including that for government securities, is likely to produce interest rates that react more directly to movements in macroeconomic fundamentals like inflation. Other authors study the potential effect on interest rates resulting from the elimination of inefficiencies in the financial system. For instance, Liu et al focus on the wedge separating deposit and lending rates in China’s banking system. Interestingly, the theoretical modelling leads the authors to conclude that dealing with the wedge may worsen credit mis-allocation, which is already a problem in China. The rationale behind the unexpected finding is the analytical model’s assumption that state-owned enterprises have better access to the formal banking system, in comparison to private firms, despite their lower productivity. Liu et al argue that trying to improve the allocation of credit would likely benefit from reforming fundamental factors over and above interest rates. China’s economic success during the last four decades is unquestionable. However, achieving further progress demands commitment to deeper and wide-ranging reforms. Facilitating access to credit for firms with promising projects is critical, and to that end continuing with the process of interest-rate liberalisation is fundamental. José R. Sánchez-Fung is a member of the economics faculty in the University of Nottingham’s Business School in Ningbo, China. Image Credit: CC by bfishadow/Flickr.